As they say, keep clicking. And when you have the momentous 18 megapixel Canon EOS 600D SLR Camera brought by Flipkart.com, then the art and impact of taking pictures would be divine. Weighing 570g and with a dimension of 133.1 x 99.5 x 79.7 mm, the Canon EOS can help you take pictures using the Pentamirror Viewfinder which means a 3-inch clear view TFT display screen, that can be rotated as per the need. It has various Focus modes for accurate focusing of the object. The electronically-controlled focal plane shutter provides shutter speed of 30 – 1/4000 sec. It also has scene Intelligent Auto feature that on its own selects the best scene for user. Last but not the least, it comes with Movie Digital Zoom that allows 3-10x magnification even while shooting Full HD movie. 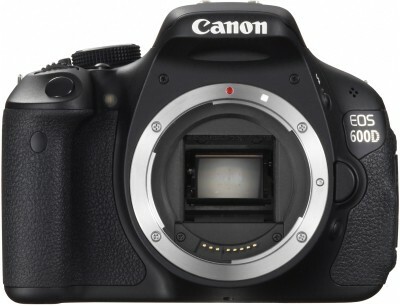 How to get this DSLR Camera at discounted price of Rs 29999? Book this outstanding looking and hi-performance Canon EOS 600D SLR Camera from Flipkart at Rs 29999 Only – Extra 9% Off.